As we approach the end of 2010, video game critics are going to list their best games of 2010. One game that will surely be on several of those lists is the PS3 game Heavy Rain. Please don't confuse this game with the terrible Christian Slater movie, Hard Rain. Heavy Rain was released earlier this year in February, though I didn't pick it up till just recently. I had heard plenty of hype about it, mostly about the graphics, but I didn't bite because I was playing more action oriented games(Uncharted, Killzone, etc). Since picking it up, I haven't regretted it at all and would recommend it to any PS3 gamer who uses at least 8% of their brain. 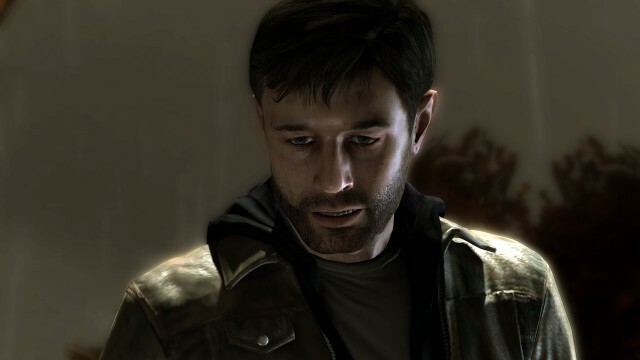 Heavy Rain's story could easily be the plot of a great serial killer thriller. (That's just fun to say) As the player you follow four main characters. Ethan Mars is a broken divorced dad whose son is taken by the mysterious Origami Killer. He is racing the clock as the Origami Killer leaves him clues to find his son before he drowns. You also play as a female journalist who wants to get famous writing about the Origami Killer case. Another character is an old private detective investigating former victims' families of the killer. And last is a FBI agent looking to embarrass the local police by personally solving the case. Yes, we've all seen plots like this in movies like Seven, Zodiac, etc but everything about this game seems completely original. The reason behind that is that you, as a player, decide everything. Yes, I'm saying everything. It really is like no other game I've ever played. In any other game if you get shot or fall off a cliff, you just respawn at your previous save point and continue forward. In Heavy Rain, if you don't fight back and get sliced by the sadistic Russian doctor, your character dies. For good. Yes there are ways to keep all 4 characters alive until the end of the game, but if you aren't quick enough with the controls, someone will die which greatly affects the ending. The controls for this game are like no other. It took me a solid hour of playing to get used to the control scheme, but once you finally get the hang of it the game really ramps up the action. There were a few times that I was using every single finger (thumbs included) on some part of the controller to complete a task. Normally I like to just lay back and relax when I play games (part of the reason I was never taken with the wii) but even when a cut-scene happens in Heavy Rain you can't relax for a second because your character will suddenly be in peril and only your trusty button combination can save them. Have I geeked out enough in this review? Good because it will continue. 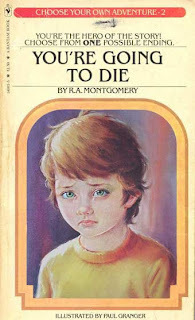 As a child/man-child I used to indulge in "choose your own adventure" books. I loved being in control of the story(which usually consisted of being chased by giant ants and/or an ancient blood-thirsty tribe). I have always been surprised that movies have never capitalized on this idea. How easy would it be to give the viewer two options at a pivotal moment and use their remote to decide what happens next. What I'm basically saying and re-saying is that this is a one-of-a-kind experience that doesn't let up and fully immerses you in its twisted world. The best part of the game is talking to others who have played it and finding out which ending they earned. There are 27 endings in total, some good, some ok, some awful. If I had a relative who'd lend me their PS3, I'd definitely play this game.